Welcome to Maple Ridge – Pitt Meadows School District No. 42. We are proud to be one of BC’s most innovative school districts and make it our mission to ensure that all our learners feel valued and reach their full potential. For kindergarten registration, Grade 8 registration, and registration at all other grade levels, see the information below. To find your catchment school, use our School Locator. Learn more about our online kindergarten registration process at www.sd42.ca/kindergarten-registration. Please note: There are no Grade 7 Info Nights prior to registration. Each school will host an information session for incoming students once registration is complete. To provide an optimal learning environment for all students, Maple Ridge – Pitt Meadows School District No. 42 must manage enrolment across all schools, ensuring that enrolment numbers match building capacity. “Where space and facility is determined to be available,” the school district has an open boundary policy that allows flexibility in choice regarding which secondary school students may attend (School Act section 74.1 Section 6). Due to increasing enrolment in recent years, however, the majority of students are assigned to their catchment school. All our high schools meet the needs of all learners. Registration opens at 12 pm (noon) on Tuesday, February 5, 2019. All Grade 8 registrations are done through the Parent Portal at https://parents.sd42.ca. Each registration is time-stamped at the moment the registration form is opened to begin the online registration process. The registration form will automatically populate with your child’s secondary catchment school based on the residential address on file with your child’s elementary school. 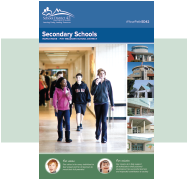 You can also find your child’s secondary catchment school using the school locator tool at http://www.sd42.ca/school-locator/. New development areas may not show accurate results. Please confirm with your child’s elementary school if necessary. If the address you register on the portal does not match what is on file, proof of change of address will be required. Rental agreements are not accepted as proof of address. Deadline for Grade 8 online registration is 12 pm (noon) on February 20, 2019. If you do not register your child by the online registration deadline, you will need to complete a paper registration form at your child’s catchment high school. Parents will be notified by email before Spring Break about their child’s assigned school. Movement between schools after the February 20 deadline requires a transfer process. Transfer forms are available at all secondary schools. The ability to transfer will be limited by building space and available staffing. See Student Transfer Guidelines. A review of transfer requests will be completed before the Grade 7 orientation date in May. Individual meetings and/or visits will occur after placement. Download a PDF version of Grade 8 Registration Information. Parents of Grade 7 students currently NOT registered in the Maple Ridge – Pitt Meadows school district must obtain Grade 8 registration forms from the District Education Office at 22225 Brown Avenue, Maple Ridge. Registration forms will be available starting February 5, 2019 at 12:00 pm (noon). Registration deadline is 12:00 pm (noon), February 20, 2019. Parents will be notified by email after Spring Break about their child’s assigned school. For registration at all other grade levels you will need to contact the assigned school for your neighbourhood (i.e. your catchment school). To determine your catchment school, use our School Locator, enter your address and follow the instructions. Our elementary schools are listed here. Our secondary schools are listed here. c̓əsqənelə Elementary is planned to open for the 2019/20 school year at 24093 – 104th Avenue, Maple Ridge. 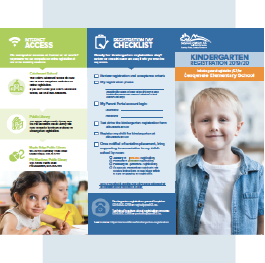 Registration for kindergarten to Grade 7 opens January 7, 2019.
c̓əsqənelə Elementary registration is open to students who will be in kindergarten through to Grade 7 in September 2019 who want to register in this new school, located at 24093 – 104th Avenue, Maple Ridge. c̓əsqənelə Elementary is scheduled to open for the 2019/20 school year. Visit http://elementary.sd42.ca/cusqunela for details about the registration process and for associated timelines for c̓əsqənelə Elementary registration.